After launching the Redmi Note 7 and perhaps the Redmi Note 7 Pro, Xiaomi’s sub-brand Redmi will release a flagship smartphone running on the latest Snapdragon 855 SoC. Redmi seems to be going the Poco way for its first year as an independent brand. Just like Xiaomi’s sub-brand Poco launched a flagship Snapdragon 845-powered smartphone last year, its newest subsidiary Redmi is planning to launch a flagship device running on Snapdragon 855 this year, possibly in . another attempt to disrupt the market. According to a post on Weibo (Via GSMArena) made by Redmi’s General Manager Lu Weibing, the company is in talks to step out of the mid-range zone and enter flagship territory with a smartphone that runs on the Snapdragon 855 chipset. Weibing reportedly revealed the information in a post with an image of himself and the Redmi crew in discussion at the Xioami's Shenzhen R&D Institute. Nothing else about the flagship Redmi phone was shared in the post. 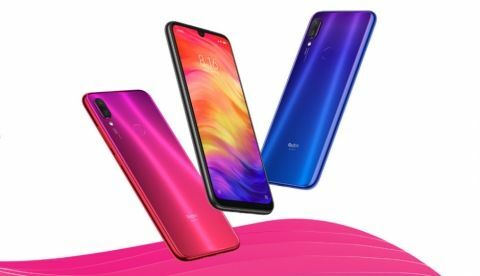 Redmi is currently a few days shy of launching the Redmi Note 7 in India, with expectations also pointing to the launch of the Redmi Note 7 Pro and the Redmi Go. The Redmi Note 7 is expected to be the most affordable smartphone with a 48MP camera setup when it launches in India. Last time Redmi teased the launch of the Note 7 in India, it took a swing at Samsung’s newly launched Galaxy M series smartphones. It is expected that Xiaomi and Redmi could launch the Redmi Note 7 in India on February 14. Xiaomi could also unveil the Redmi Note 7 Pro alongside the Redmi Note 7 in India. If that is the case, the Feb 14 Valentine’s Day launch could be possible since Xiaomi launched the Redmi Note 5 Pro in India on the same date last year.